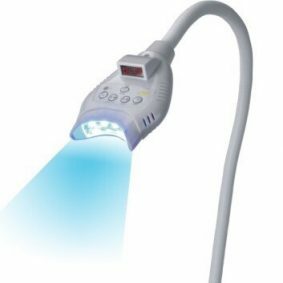 We have a range of teeth whitening kits available for use with or without a whitening light system. 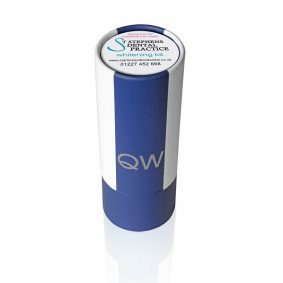 Quickwhite whitening kits are designed to be effective and economical, enabling practioners to provide consistent whitening at a competitive price; all whitening kits also abide to all UK & European teeth bleaching regulations. 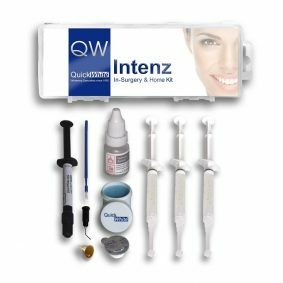 Below you will find a range of teeth whitening products for in-surgery and home procedures, click on the products to find out more. 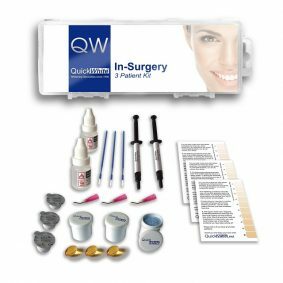 Our in-surgery kit comes as a kit form and conforms to the UK & European teeth bleaching regulations. The famous and best selling in-surgery/Laser whitening kit for teeth bleaching. 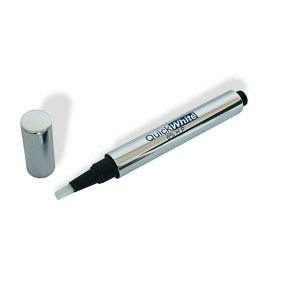 Contains 3 pots or syringes of QuickWhite for 3 patients, 2 paint-on dam 3g syringes, brushes, pumice, vitamin Es and applicators and colour instruction. 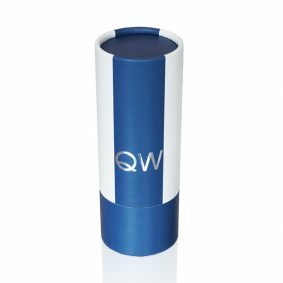 Laser kit QWI001L have Potassium Nitrate 10% wv. Pots for use with 6% – 35% hydrogen peroxide. 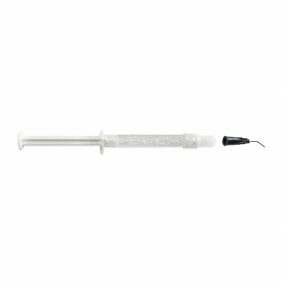 Also available in pre-mixed syringes (6% or 12% gel mix as well as 35%).